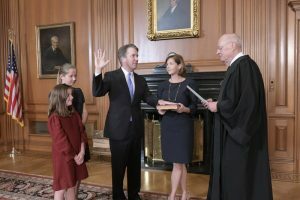 Retired Justice Anthony M. Kennedy, right, administers the Judicial Oath to Judge Brett Kavanaugh in the Justices’ Conference Room of the Supreme Court Building. 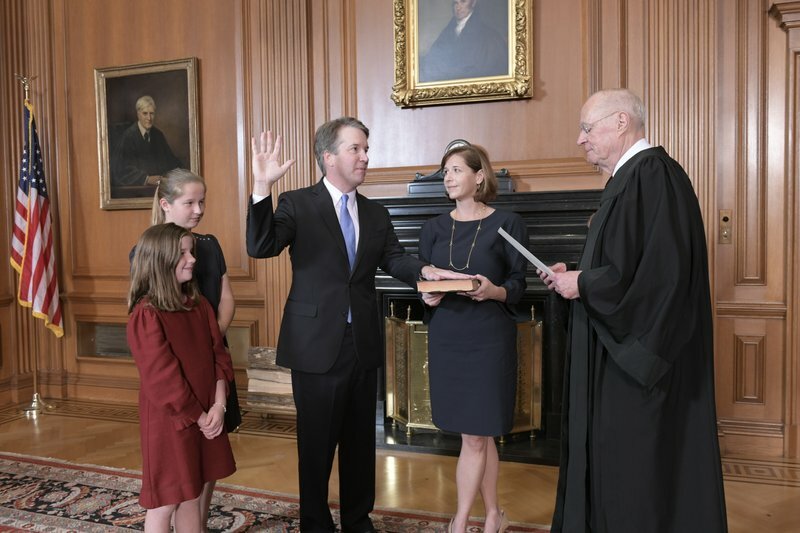 Ashley Kavanaugh holds the Bible. At left are their daughters, Margaret, background, and Liza.